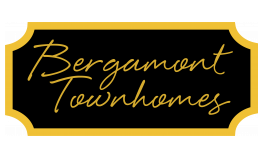 Bergamont Townhomes is Oregon’s newest luxury town home community! Located on the outskirts of Madison, WI, we offer a suburban atmosphere in Oregon, Wisconsin. This convenient location is 10 miles from Fitchburg, 2 miles from the heart of Oregon, and 13 miles to Downtown Madison, the State Capitol, and State Street. All of our town homes have a private entrance allowing you and your guests to come right to your front door. Private garages are also provided to keep your cars protected from the wide range of Wisconsin elements. We also include a spacious covered front porch, perfect for outside relaxation and entertaining guests. Contact us today for more details!